As we head into another summer in Canberra, you’ve probably already experienced that clammy feeling of jumping into a hot car on a sunny, warm day. Plus, if your car has leather or vinyl seats, there’s that uncomfortable feeling of trying to find a sitting position that doesn’t burn your rear end! All of which is great promotion for a new Canberra carport for your home. A Canberra carport that is well-designed and built will be a blessing during the warmer weather as it will keep your car much cooler when it’s parked at home. When looking to keep the heat down, remember it’s not just roofing you’ll have to consider. You may also want to add side walls and/or a back wall to your carport, depending on the location of your carport and the direction of the sun. This is particularly the case if your carport will be exposed to the heat of the westerly sun. Another option is to install outdoor blinds on the sides and rear of your new Canberra carport (or an existing carport). The added advantage of outdoor blinds is that you can lower them or raise them when required. While the heat may be top of mind today, the great thing about a new carport is that you’ll appreciate it all-year-round. Canberra may be hot in summer, but it can be icy cold, wet and frosty at other times. And a Canberra carport will be great in all these conditions. It’s also wise to remember that a carport is not just about you and your family, and your level of comfort. What’s good for you will also be good for your car or cars, and possibly trailer, boat or caravan. Protecting your assets from the elements will keep them in tip-top condition and they’ll require less cleaning. In stormy weather – and we can get our fair share of storms – a carport can also help protect your assets from torrential rain, hail and debris. 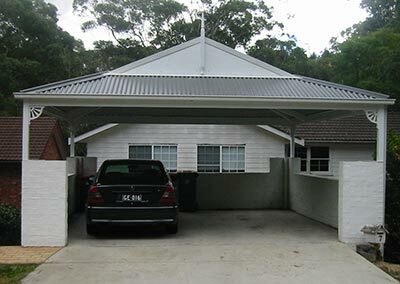 If you’re considering a carport for your Canberra home, give Mr Carports a call. We can help build any style, size or shape of carport. Plus, we can also assist with advice, supply and installation of outdoor blinds. Phone Mr Carports on 1800 557 782 or contact us via the website.